Can I apply RTI to Gujarat State Road Transport Corporation (GSRTC)? Can I apply RTI for a copy of the guidelines for collection of toll fee to National Highways Authority of India (NHAI) ? Can I apply RTI to Oil and Natural Gas Corporation (ONGC) ? Yes, you can file RTI to Ministry of Road Transport and Highways. Ministry of Road Transport and Highways (MoRTH) is the Apex Body of the Government of India. The subjects allocated to the MoRTH, at present, as per the Govt. of India (Allocation of Business) Rules, 1961 are framed and issued by Cabinet Secretariat. MoRTH is a "Public Authority" as per Section 2 (h) of the Act and falls under the ambit of the RTI Act 2005. 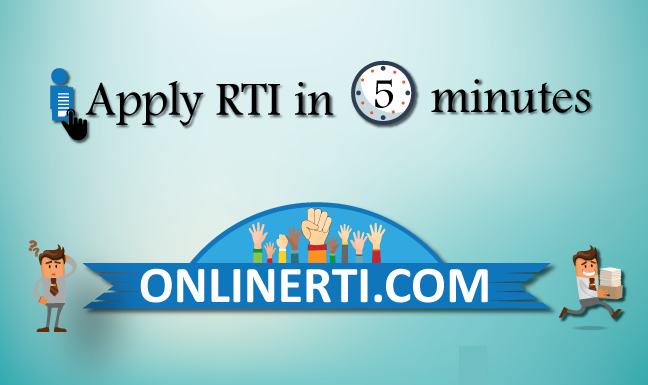 You can file RTI Applications to MoRTH by addressing the same to the designated "Public Information Officer (PIO)" either Online or by registered post and by paying the prescribed fee.